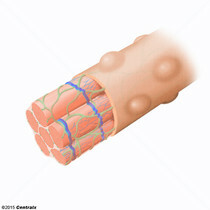 Contractile tissue that produces movement in animals. 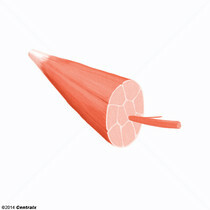 A subtype of striated muscle, attached by TENDONS to the SKELETON. Skeletal muscles are innervated and their movement can be consciously controlled. 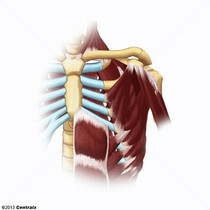 They are also called voluntary muscles. 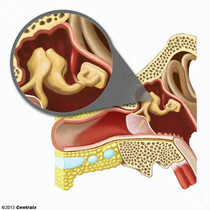 A tiny muscle that arises from the posterior wall of the TYMPANIC CAVITY of MIDDLE EAR with its tendon inserted onto the neck of the STAPES. 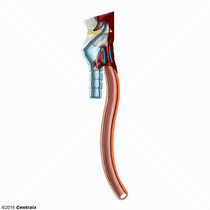 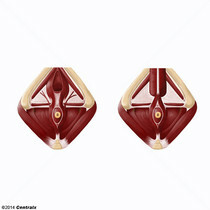 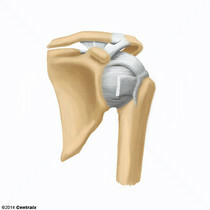 Stapedius pulls the stapes posteriorly and controls its movement. 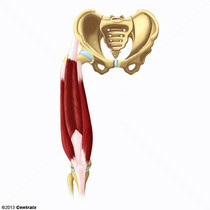 The quadriceps femoris. 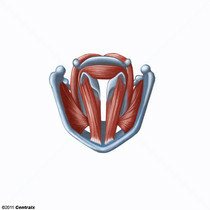 A collective name of the four-headed skeletal muscle of the thigh, comprised of the rectus femoris, vastus intermedius, vastus lateralis, and vastus medialis. 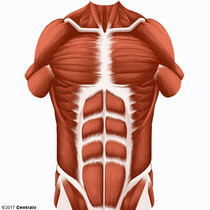 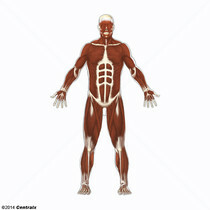 These include the muscles of the DIAPHRAGM and the INTERCOSTAL MUSCLES. 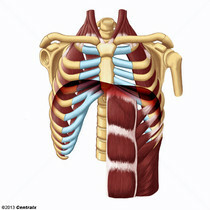 The musculofibrous partition that separates the THORACIC CAVITY from the ABDOMINAL CAVITY. 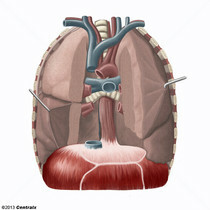 Contraction of the diaphragm increases the volume of the thoracic cavity aiding INHALATION. 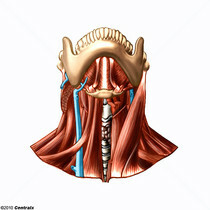 The neck muscles consist of the platysma, splenius cervicis, sternocleidomastoid(eus), longus colli, the anterior, medius, and posterior scalenes, digastric(us), stylohyoid(eus), mylohyoid(eus), geniohyoid(eus), sternohyoid(eus), omohyoid(eus), sternothyroid(eus), and thyrohyoid(eus). 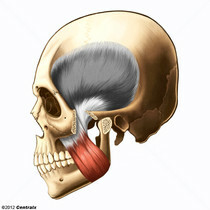 The muscles of the pharynx are the inferior, middle and superior constrictors, salpingopharyngeus, and stylopharyngeus. 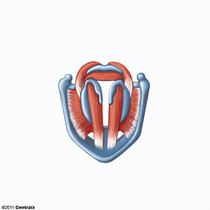 The intrinsic muscles of the larynx are the aryepiglottic(us), arytenoid(eus), cricoarytenoid(eus), cricothyroid(eus), thyroarytenoid(eus), thyroepiglottic(us) and vocal(is). 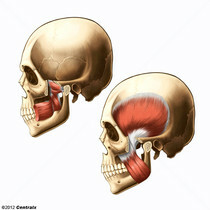 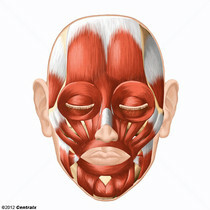 A masticatory muscle whose action is closing the jaws; its posterior portion retracts the mandible.